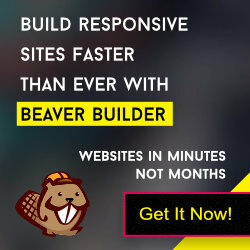 GBeaver Theme provides yet another great feature for your site known as “Off Canvas Menu” – a menu effect that has gained popularity among users. We, at GBeaver, provide it as a widget. Just navigate to Appearance -> Widgets page, drag&drop the “Off Canvas Menu” widget at correct widget area and select your menu from drop down list. The menu shall appear on your site. Please note that you should select one menu item from “select menu” drop down list, otherwise the widget will not work. Please create the menu from Appearance -> Menus page, in case you do not have menu.